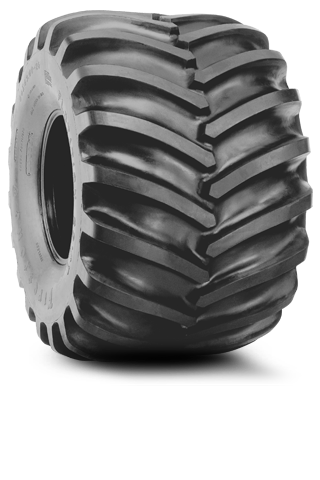 Flotation 23 Degree DT (WTP) Logger HF-3 Tire features a deep skid depth and wide footprint for maximum flotation on soft ground. It features 23 degree tread bars and 1.8″ to 2.5″ tread depth which offers an excellent combination of flotation and traction. Its rounded shoulder minimizes soil disturbanc during turns. For pricing and availability, please call (207) 370-8473.